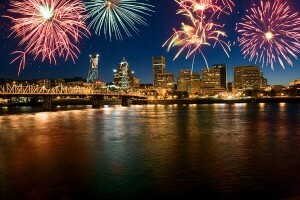 Don’t be singing the blues looking for parking in downtown Portland as you head for the Waterfront Blues Festival or the Fourth of July fireworks. Just leave the driving to TriMet! Several bus lines and all MAX lines serve the downtown area, and extra service is planned around the fireworks show. The Waterfront Blues Festival runs July 4 through July 7. When hopping a bus or a MAX train to the festival, buy a convenient day pass – it’s the same price as two 2-hour tickets – so you can relax, enjoy the music and partake in the food, spirits and fun without watching the clock. Learn more about the blues festival. 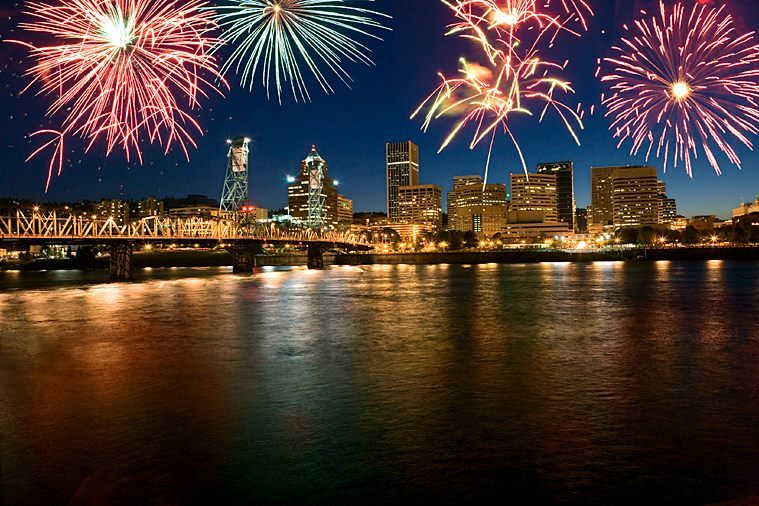 To help get you to and from the Fourth of July fireworks display, TriMet will add extra bus and MAX service as needed from about 9 p.m. until the end of service. Buses and trains may be crowded so be sure to plan some extra time! And consider buying tickets ahead of time. More than a hundred local retailers and most grocery store chains sell TriMet fares. Due to the possibility of full or partial closures of the Hawthorne Bridge, four TriMet bus lines – 4, 6, 14 and 33 – will detour off of the bridge from 8 p.m. until about 10:30 p.m. Heading to a concert at the Oregon Zoo this summer? Taking in a Timbers or Thorn match at JELD-WEN Field? Enjoying the fun at the Washington County Fair? Let us take you there. Plan your ride to summer fun.